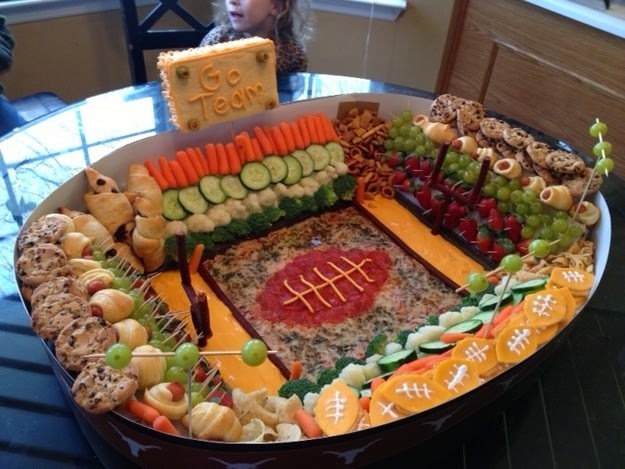 I think we've all seen the pictures on the internet of these marvelous "snack stadiums". (I featured them in a post in 2013.) Or maybe, you are a culinary King or Queen and you've built one yourself! They are truly a wonder to behold. Well, for those of us that are lacking in snack stadium building skills, there is now the potential for help. Dallas and Rich have developed a trademarked system to easily build a snack stadium. It is comprised of eleven pieces, made with a process called injection plastic molding. The food containers are fully customizable and are easy to store. They are reusable, dishwasher-safe, and microwave-safe! They have a Kickstarter campaign going to get their idea running. It's a great concept and I hope they are successful. This is brilliant...I wish one of us thought of this!! I know! I thought the same thing. Why didn't we think of this? !